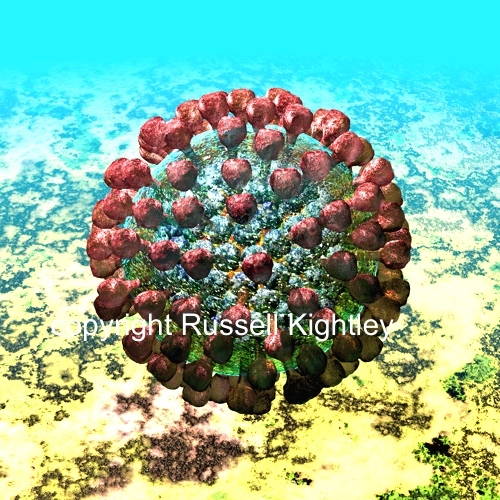 Lassa virus particle #1. The above image is 500 pixels across, the original measures 5000 pixels across. 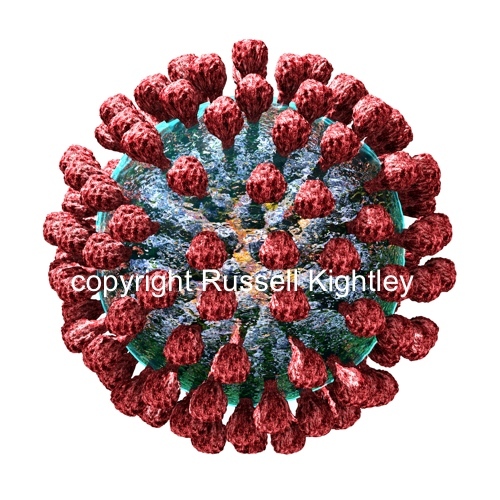 Lassa virus particle #2. The above image is 500 pixels across, the original measures 5000 pixels across. Lassa virus particle #3. The above image is 500 pixels across, the original measures 5000 pixels across. Lassa virus particle #4. The above image is 500 pixels across, the original measures 5000 pixels across. LASSA VIRUSES are ss RNA viruses (family Arenaviridae) causing severe haemorrhagic disease (cf Ebola haemorrhagic disease). They are enveloped (greenish layer in this image) and studded with (red) protein spikes. Beneath the envelope (lipid bi-layer) lies the matrix protein (Z protein, shown in blue) and deeper to this the RNP (shown in yellow). Zoonotic (spread from animals to humans) with rodents as the main host. 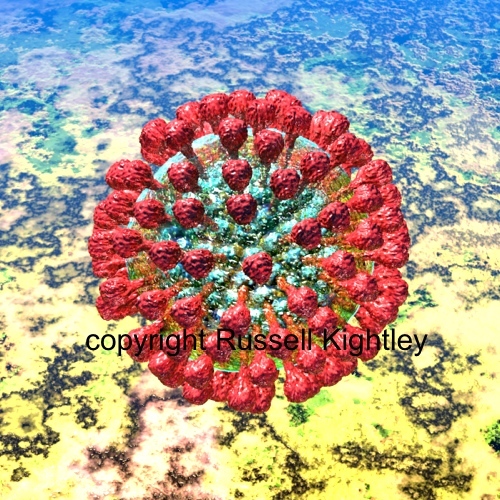 See our 3D versions: Lassa virus anaglyph & Lassa virus 3D stereo pair. With thanks to Ed Rybicki. Ed Rybick's ViroBlogy: Lassa, come home!